This post is sponsored by Horizon Organic. All opinions are my own. Read our full disclosure statement by clicking here. One of the most popular questions I receive is "how do I pack hot foods for school lunches?" We are fortunate that Little Miss has access to a microwave at lunch time, but some foods pack better in a Thermos instead of reheating that way. It's also not the case for all our readers, so even though I try to answer this question as it comes up... it's important to also take the time to share about it on blog. One of her favorite hot lunch items that I pack for her macaroni & cheese. I'm thankful I can easily whip her up a box of Horizon Organic Gluten Free Cheesy Mac to satisfy her cravings. Fill the Thermos with hot boiling water and close the lid tightly. Set aside. 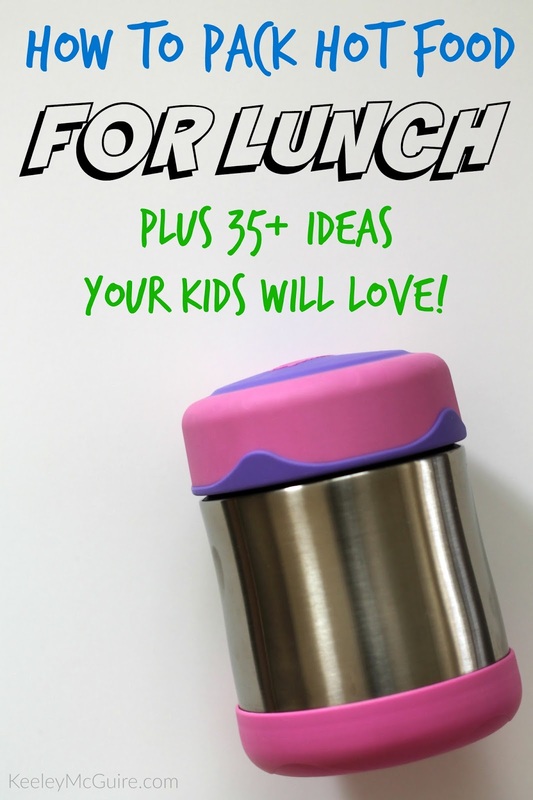 Cook or reheat your hot lunch items. After a minimum of 5-6 minutes, dump out the water from the Thermos (and dry with a paper towel, if necessary). Fill with warm food, close lid, and pack for lunch! 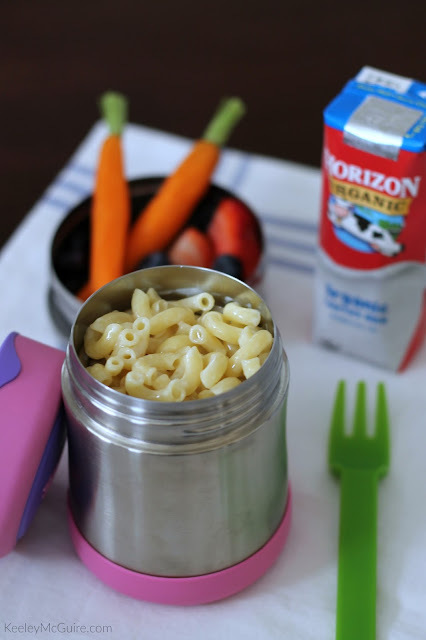 As I mentioned above, making a box of Horizon Organic Gluten Free Cheesy Mac is a great option for school lunches. 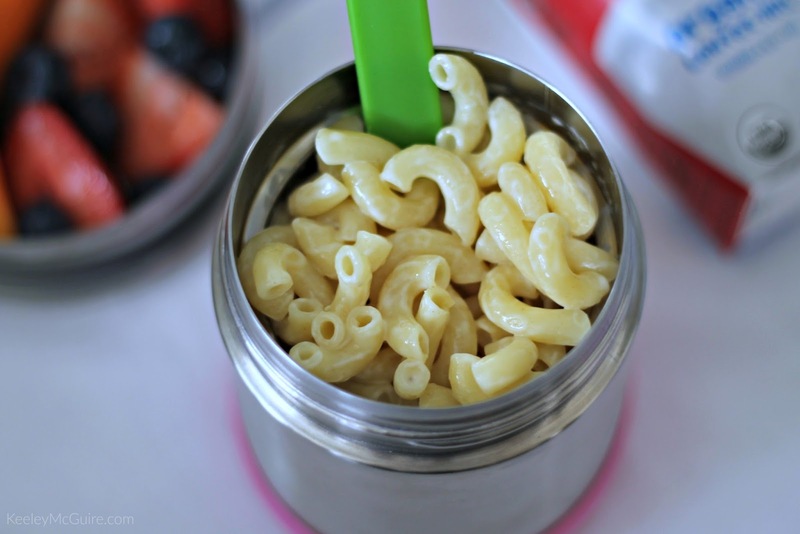 Check out this post for details on their allergen disclosure regarding the GF Mac & Cheese. Make a box for supper and pack the leftovers for lunch. Or, if making multiple lunches, get a box cooking while everyone is eating breakfast in the morning so you can pack it quick after and go. Check out the Horizon Mac-N-Ator for more ideas. What are your favorite foods to pack for school lunches?